Remember how fresh and exciting Deadpool felt when it burst into the scene two years ago? It was somehow like every superhero origin story we’d ever seen, and yet, nothing like any superhero film we’d ever seen. The irreverent Marvel fan favorite became, in the charismatic hands of Ryan Reynolds in a performance packed with go-for-broke bravado, more than just the latest costumed crime fighter flick to come sweeping into theaters, obliterate its competition, and drop out to make room for the next one of the same. 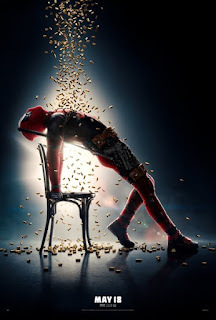 Deadpool was a master class in using a weakness as a strength; namely, the deal that Reynolds and first-time director Tim Miller made to get the film made in the first place: a drastically reduced budget in exchange for a coveted, and ultimately necessary, hard R-rating. Reynolds, Miller and writers Rhett Reese and Paul Wernick took this ball and ran with it like Forrest Gump, past the end zone, out of the stadium, and into what is no less than a place in film history. Deadpool was a clever subversion of not just superhero tropes but filmmaking and storytelling in general. True to its source, Reynolds’ titular character didn’t just break down the fourth wall so much as obliterate it and then urinate on the rubble. Instead of the heavy explosions and gunfire, Deadpool did his fighting with a sharp kitana and an even sharper wit. It was a breath of fresh air to a genre that desperately needed one. The world’s most self-aware superhero made his triumphant return in the blockbuster Deadpool 2. 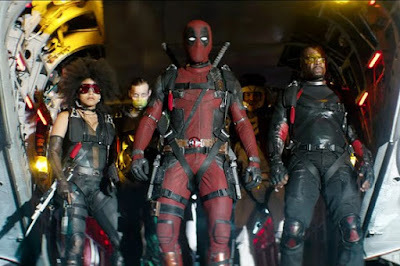 As is the case with sequels, everything is bigger, louder and faster, even trading in inexperienced FX artist Miller (who, to be fair, had quite a coming out party with the first Deadpool) with experienced action director David Leitch. This was an inspired hire, as his previous films Atomic Blonde and the instant classic John Wick were cool, clever and brutally violent with a great visual flair—basically, everything you want a Deadpool movie to be. Leitch’s previous films also had smart world-building, and populated these worlds with fascinating three-dimensional characters that didn’t just inhabit these worlds but truly felt formed by them. It’s safe to say that Leitch brought all the best parts of these films with him into his seemingly natural transition into superhero film making, and it fits Deadpool like his signature form-fitting red suit. Thanks to Leitch's guiding hand, and a budget befitting the sequel to the second-highest grossing R-rated film of all time (a fact that has not escaped Deadpool himself), Deadpool 2 is a richer, deeper expansion of the world, where emotions run as high as the stakes. But is it necessarily a better film? There's a reason why the first Deadpool connected so easily with such a large audience. It was exciting and funny and reverent, but there was a clear method to the madness. Simply put, Deadpool not only benefitted from, but thrived because of, the restraints put on it. Look in particular at what constitutes the film's primary "gun battle": Deadpool is given a gun with 13 bullets and knows he must make each one count against the odds. As we know, he does so in spectacular fashion. This scene is a microcosm for the entire film. When a miniscule budget takes away your deadliest weapons, you need to craft some new ones. Deadpool 2 manages to subtract by adding. Leitch gives Deadpool a bigger, more expensive sandbox and some super cool new toys to play with in it, and he does with wild abandon. But the film always feels like it's missing something, like it keeps zigging when the first film would have zagged. Unlike the first film, we're not seeing the world through Deadpool's eyes. Deadpool 2 instead makes us an observer of Deadpool as he adjusts to what his world has become, showing us the story rather than letting our (anti-)hero tell it in his own words. In all honestly the full-on meta-approach probably wouldn't have worked on a film with the scale of Deadpool 2, where the singular voice that guided us into this world is in serious threat of being drowned out by all the background noise. This is not to say that what's added is bad. Deadpool lives in an interesting world inhabited by interesting people, and just about everyone here is a marked improvement over Ed Skrien's forgettable villain from the first film. The very funny Karan Soni returns to steal scene after scene as big dreaming cab driver Dopinder, Zazie Beets (Atlanta) looks to be having the time of her life Domino, and newly minted go-to supervillain Josh Brolin gives us a menacing, motivated Cable. The clear standout here is Hunt for the Wilderpeople's Julian Dennison as Russell, in one of the best portrayals of "young and powerful but nervous and scared" that we've seen in any film in the X-Men franchise. There's still an unshakable feeling that many of these great characters are not what they could be. Domino is the kind of effortlessly cool, badass character that entire franchises are built around, yet instead of a couple of impressive set pieces and a few witty retorts she's not given nearly enough to do. Ditto Brolin's Cable, who is terrifying but never feels as deep as the movie wants to convince us he does, coming off instead like a Terminator crossed with Drax from Guardians of the Galaxy. Hopefully in future installments such as the already in-the-works X-Force film we get to learn a little bit more about these people and the world that shaped them, as we have Deadpool, but somehow even this expanded universe doesn't seem to have room for everyone in it. A popular fan theory about the first Deadpool is that it's actually a film that exists within the Marvel universe that was written by Deadpool himself. That may not have been the filmmakers' intent, but it's an interesting take on where the film's head was at. That was the fun of Deadpool: it was backed into a corner financially and time and again found the most creative ways to fight its way out, managing to be clever but never to the point of being smug about its self-awareness. It was an unreal film with a refreshing grounding in reality. Deadpool 2 is a bigger, badder, broader movie, and still as entertaining of a couple of hours at the movies as one could hope for. Despite this, it's hard not to feel like it could have benefited from some more of the original's restraint.